iPhone SE vs iPhone 6s: Which is more powerful? Home Apple iPhone SE vs iPhone 6s: Which is more powerful? Visually, if you just judge the iPhone SE by how it looks outside, then the first thing that will come to you mind is that the iPhone SE is just an iPhone 6s in an iPhone 5s body. Unfortunately, that’s not the truth when you compare the specs of both devices. If you take a closer look at the iPhone 6s and the SE specs, you will probably find small differentiates that will change your mind on which of the device suits you better. iPhone 6s: While the iPhone SE is only available with a 4-inch display, you have the option to choose between two different size when buying an iPhone 6s. Apple offers the iPhone 6s in 4.7 and 5.5 inch display. The iPhone 6s display also has 3D Touch support, a feature not included in the SE. iPhone SE: If you like the iPhone SE design but don’t like small-screen phones, you will be disappointed with the iPhone SE. Apple only offers the iPhone SE in one size: 4-inch. The iPhone SE was made for people who prefer smaller phones, not for people who prefer the iPhone 5s design over the iPhone 6s design. Best choice: The iPhone 6s, obviously, is a better choice if the size of the device is an important factor that determines which phone will you buy. 3D Touch is probably something you will find interesting later in the future. iPhone 6s: When it comes to storage capacity, the iPhone 6s provides a broad options. Both iPhone 6s models, 6 and 6 Plus, have the capacity of 16GB, 64GB, and 128GB. iPhone SE: If you really want an iPhone with 128GB of storage, then the iPhone SE is not for you. 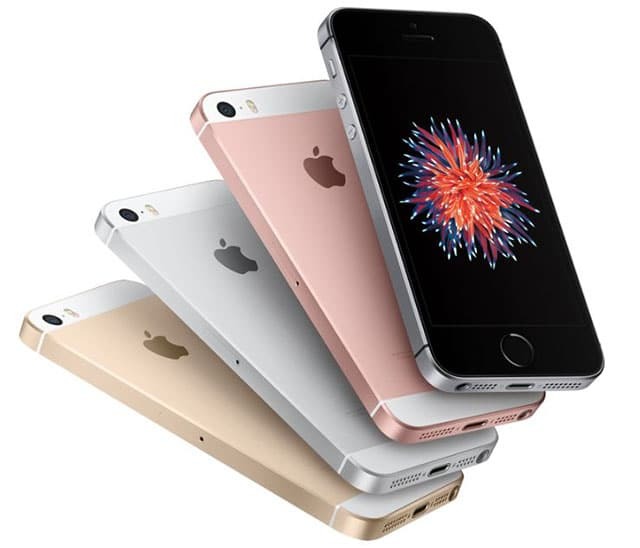 Instead of abandoning the 16GB and introducing 32GB as the basic model, Apple only offers the iPhone SE in two different set of storage: 16GB and 64GB. Best choice: iPhone 6s. The iPhone 6s goes up to 128GB in storage availability. iPhone 6s: The iPhone 6s features a 12MP camera with a ton of software-based features. However, if you own an iPhone 6s Plus, you get Optical image stabilization, a feature not found in the iPhone 6.
iPhone SE: The iPhone SE uses the same camera the iPhone 6s use. And like the iPhone 6s, the iPhone SE does not feature Optical image stabilization, but it has all features found in the iPhone 6s. Best choice: Unless you bring out the iPhone the iPhone 6s Plus, the iPhone SE and 6S are exactly the same when it comes to taking pictures or recording videos. iPhone 6s: When browsing the web on an iPhone 6s, the battery can last up to 10 hours on 3G, 10 hours on LTE, and 11 hours on WiFi. As for talking, the phone can last up to 14 hours on 3G. iPhone SE: The iPhone SE can last up to 12 hours of 3G usage when browsing the web, and 13 hours on LTE and WiFi. When talking on 3G, the phone can last up to 14 hours. Best choice: iPhone SE. As you can see, you will get a few more hours of usage when using an iPhone SE over an iPhone 6s. iPhone 6s: With the iPhone 6s, you get six sensors that makes your iPhone do stuff out of the norm. iPhone SE: While the iPhone 6s has a total of six sensors, the iPhone SE lack the Barometer sensor. Meaning you won’t be able to measure the pressure of your farts with the iPhone SE. If you prefer the size and design of the iPhone SE (iPhone 5s) over the iPhone 6s, then it’s really worth it to choose the iPhone SE – you will not lose any ground-breaking iPhone 6s features. You will only lose some small features that most iPhone 6s users have never noticed they even had, like the barometer sensor. For the most part, unless you want to compare it with an iPhone 6s Plus, the iPhone SE is really an iPhone 6s in an iPhone 5s body.